A hydraulic dumper ( also knowns as a motorized wheel) is a transportation device that makes easy work out of carrying gardening debris, construction rubble, and miscellaneous burdens. This particular model is narrow enough to fit through standard door dimensions and up a 36% gradient incline (very steep). Using a power-assisted wheelbarrow means that you can haul much heavier loads than possible using manual wheelbarrows, with this machines payload being 500kg of material in a single load. 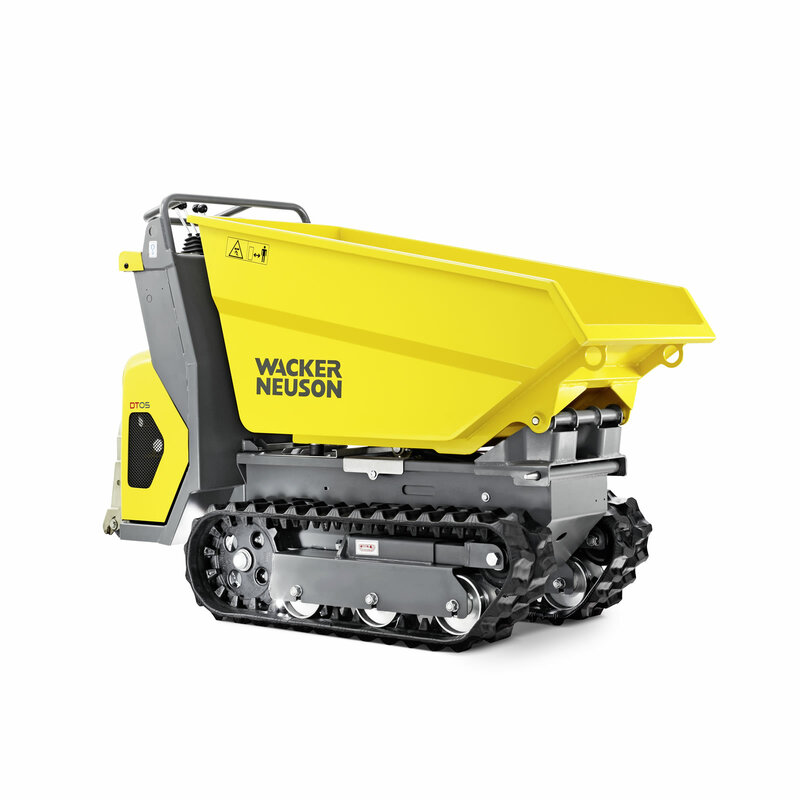 It similarly features rubber tracked drive (to prevent slipping), a hydraulic lifting arm (making dumping effortless) and a rear standing platform.